This week we start a new season of the Real Tailgate College Football Show, and Wake Forest fans are going to be pleased! We have Deacs head coach Jim Grobe and Wake Forest blogger JP Mundy as our guests. Plus we talk ECU, the Big Questions return, and we get to the bottom of just how bad the latest Johnny Manziel scandal could be for Texas A&M. 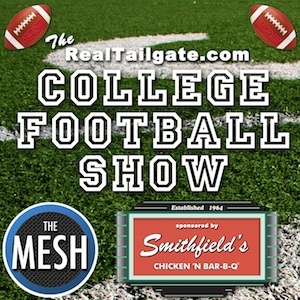 Click here to visit "RealTailgate.com College Football Show" page to learn more about this show! Enter your email address below to subscribe to all new episodes of "The RealTailgate.com College Football Show" by automatic email notifications!